Todor Tashev started his career in А1 more than 15 years ago as an installations engineer. Over the years, he passed through several managerial positions related to the network development and maintenance. 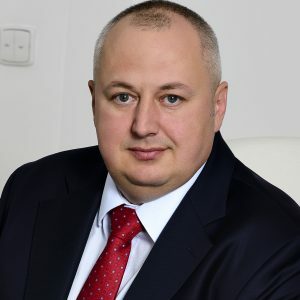 In February 2011 he assumed the post of Access and Transport Network Director and since October 2016 he is Senior Network and Services Director and member of the Leadership Team of А1. Todor holds a Master’s degree in Radio Communication Equipment and Technology from the Technical University in Sofia and has completed various training programs in the field of telecommunication technology in international training centers in Germany, Italy and Portugal.